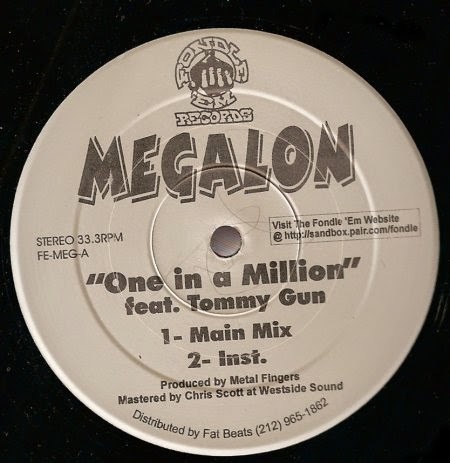 Long Island Rap Blog: Megalon - One In a Million 12"
What we have here is easily one of the best singles of the Fondle 'Em era. The A side features Megalon a.k.a. Tommy Gun rapping over a beat by Metal Fingers a.k.a. MF DOOM. The B side was produced by G.M. Web D a.k.a. X-Ray Da Mindbenda, with singing by the elusive Pebbs a.k.a. Pebbles the Invisible Girl, who's best known for lending vocals to MF's "Doomsday." In fact, that seems to be her only other attributable credit, at least as far as the Internet's concerned. There's actually a singer on the A side as well, with a voice that sounds like it could belong to Pebbs but remains uncredited. 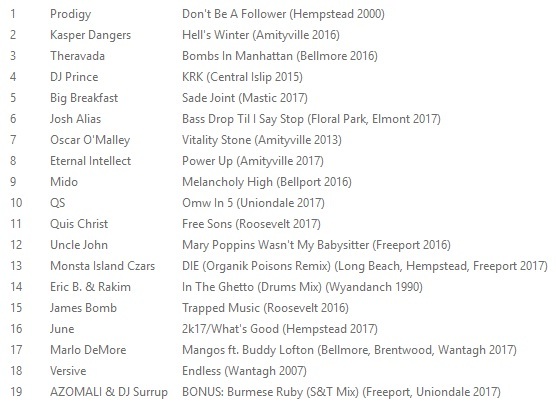 Regardless, both sides of this single are Long Beach legend-status, instrumentals included. Which do you prefer? Download and let us know below.